The ideal poker hand means different things to different people. 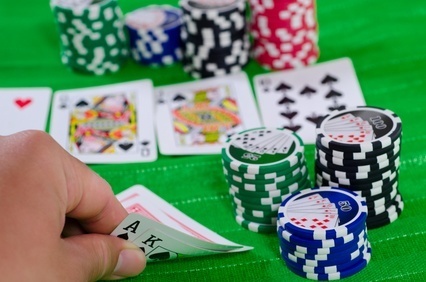 Beginners think the ideal poker hand is one of the best starting hands such as a pair of aces while intermediate players extend their range of ideal poker hands to include suited connectors and other speculative hands. Professional poker players, however, consider many factors before determining what would be an ideal hand: his opponents, the table dynamics and how much money is on the table. So what is it? An ideal poker hand is any hand that has the potential to maximize winnings while minimizing losses. An ideal hand does not necessarily mean a premium hand. For instance, it is safe to say being dealt 10-2 is usually an automatic fold. But, for Doyle Brunson, 10-2 is an ideal hand; in 1976 (and again in 1977), Brunson won the World Series of Poker Championship with this hand. Although it’s not the first choice of starting hands, it goes to show that any hand can be an ideal hand if you know how to play it and your opponent. 1. Position. If you’ve heard it once, you’ve heard it a million times: your position is important. Why? Because any hand can be ideal when you are the last to act and have more information for making decisions. 2. Opponents. Understanding your opponents’ playing style and habits will help determine the ideal starting hands for you. If they are following ABC poker, playing more suited connectors and one-gap combinations can prove lucrative. 3. Number of Players. The fewer players at the table, the more speculative you can be with the type of hands you choose to play. Premium hands are not always the ideal poker hand. Of course, no one is going to shy away from aces preflop, but pocket aces are far from guaranteeing a big win and frequently result in a big loss, as many players will raise preflop, eliminating all but a few opponents who will likely fold unless they hit the flop resulting in a small win. If they do hit the flop, either with a draw or a pair, and end up making a better hand, it is often hard to fold aces resulting in a big loss. Since your stack is at risk every time you enter a pot, position is probably one of the most important factors in No-Limit Hold’em. Playing tight in early position is preferred, but when you get into the later positions, the gloves can come off. Determining your ideal hands will depend on the action before you and those left to act behind you. If you have a good understanding of your opponents’ playing style and range of hands, you will be in a good position to play the hands best suited to win. In Limit Hold’em, big pairs are less likely to hold up to the river because you don’t have the luxury of betting to protect your hand or isolate the field. You will often have several players seeing a river which means more opportunity for your big pairs to get beat. That doesn’t mean you won’t play them, you just need to be cautious. Limit Hold’em is the perfect playground for speculative hands. The odds are usually in your favor to stay in a pot with your draws and the odds are usually in your opponent’s favor to call when your draw hits. To help determine ideal hands in Omaha, the goal is to have 4 hole cards that have huge potential once the flop hits. This means you are looking for pairs, connected and suited cards. Stay away from middle cards if at all possible. You are always looking to draw to the nuts because the second nuts will often get you into big trouble in Omaha. Just like in Omaha, the four hole cards should work well together with plenty of flop potential. Hands that are double-suited, have high value pairs and have three cards to a nut straight or nut wheel are the best to be dealt. Hold onto at least two low cards to give you a better chance of scooping the pot. As you can see, determining the ideal poker hand is not just about the cards, but rather all aspects of the game. The information you collect from all aspects can help make any hand an ideal one.